Part 2 of our Italian family vacation. Venice Italy. 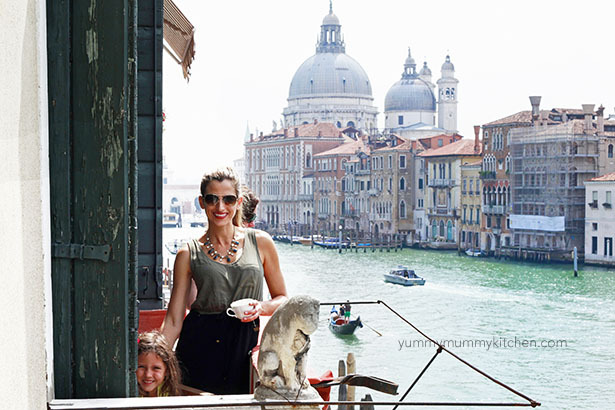 As DesignMom pointed out, you really don’t need to plan to do anything in Venice – Venice itself is the attraction. Wandering through the narrow streets, over the little bridges, running through piazzas, and watching gondolas go by. Grabbing a slice of pizza and a gelato along the way. 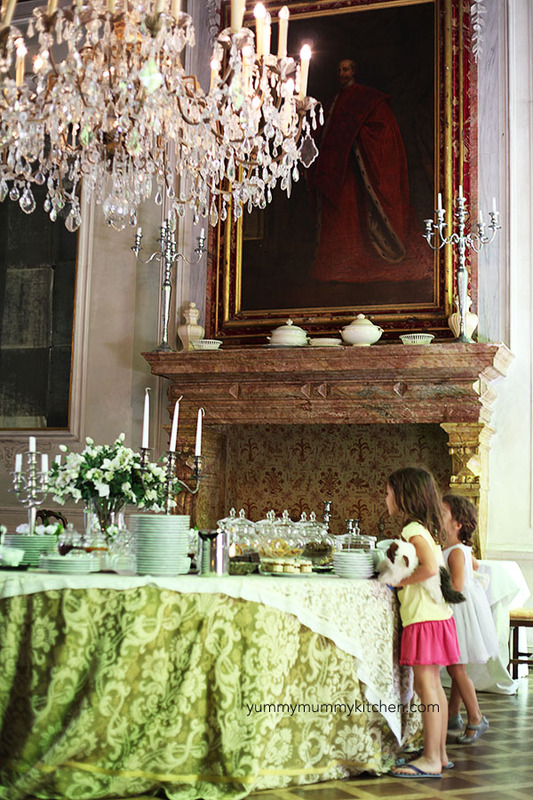 Plan excursions to museums and other activities for the morning before kids get tired, and then just relax and explore in the afternoons. Venice is known for it’s masks. The girls loved trying them on at the little street stands. 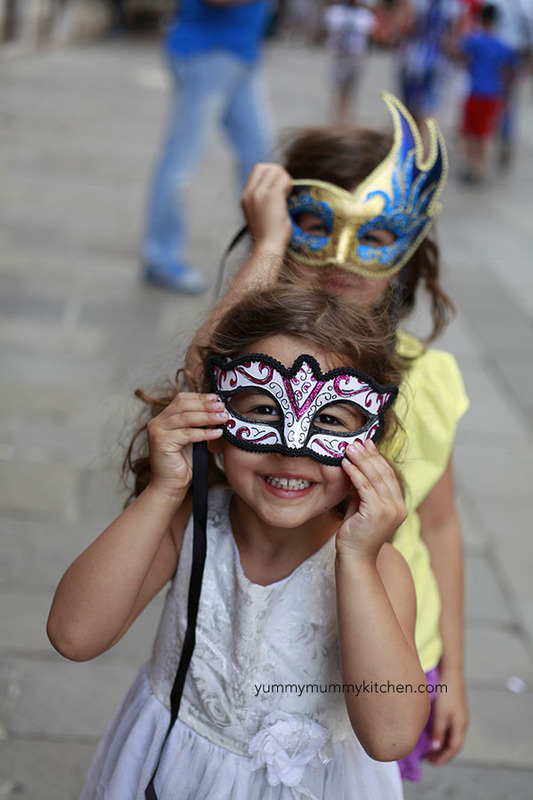 I had wanted to take the girls to a mask making class at Ca’ Macana, but we didn’t end up having time. The classes there look fabulous for kids. Take a gondola ride. 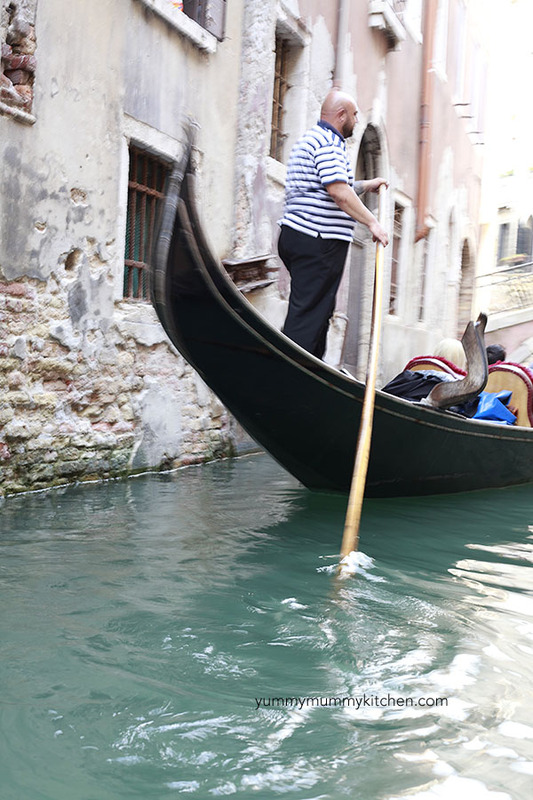 Like most things in Venice, gondola rides are expensive. A 30-minute goldola ride costs about 80 Euros. 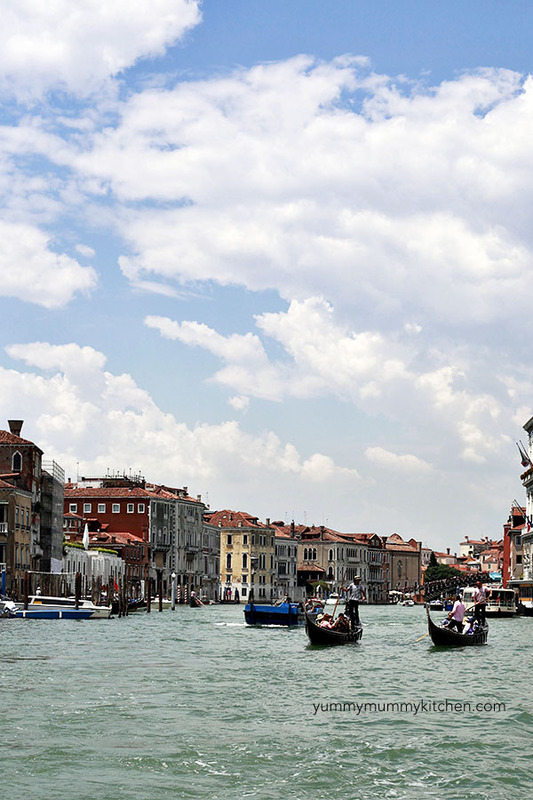 If it’s your first time in Venice it might be something to check off your Italy bucket list. Otherwise, renting a classic wooden boat is an equally good way to see the city. Even a private water taxi from the train station to your hotel is beautiful. 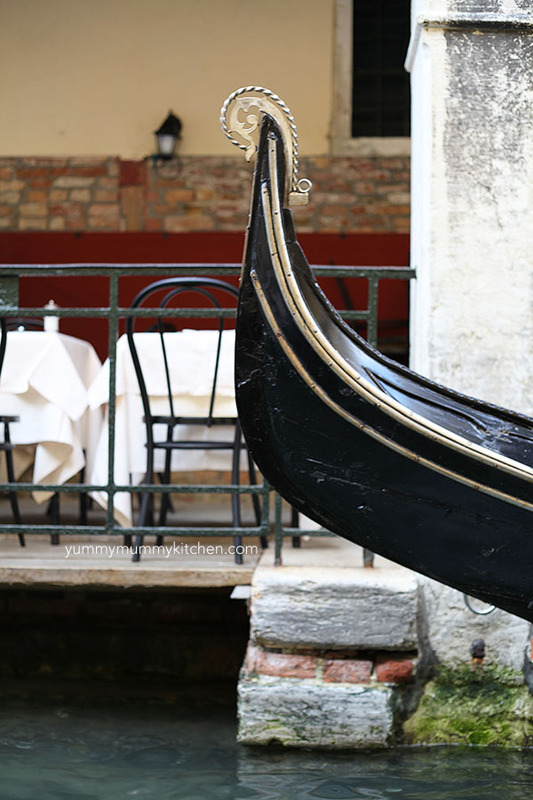 Gondola is a very special way to see the smaller canals that larger boats can’t get through. If you do choose a gondola ride, pick your gondolier wisely. 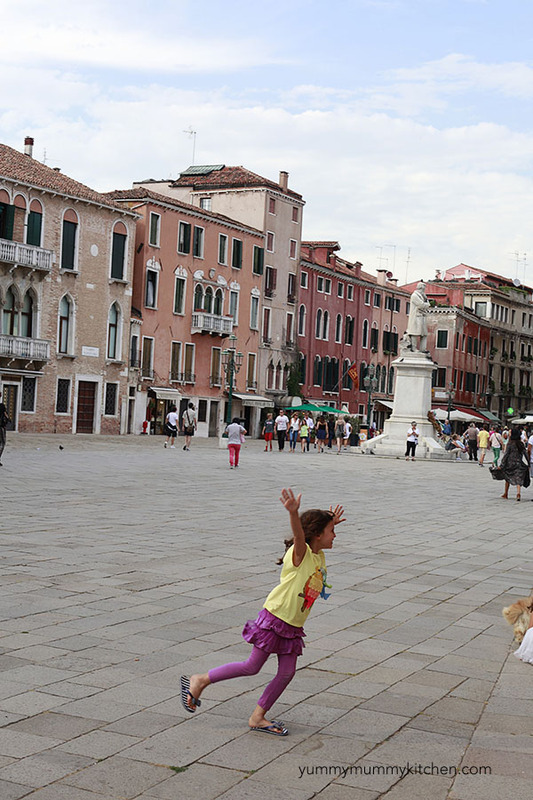 Some are very friendly and love to tell the history of Venice and even sing. Others may be on their cell the whole time or seem annoyed by tourists. 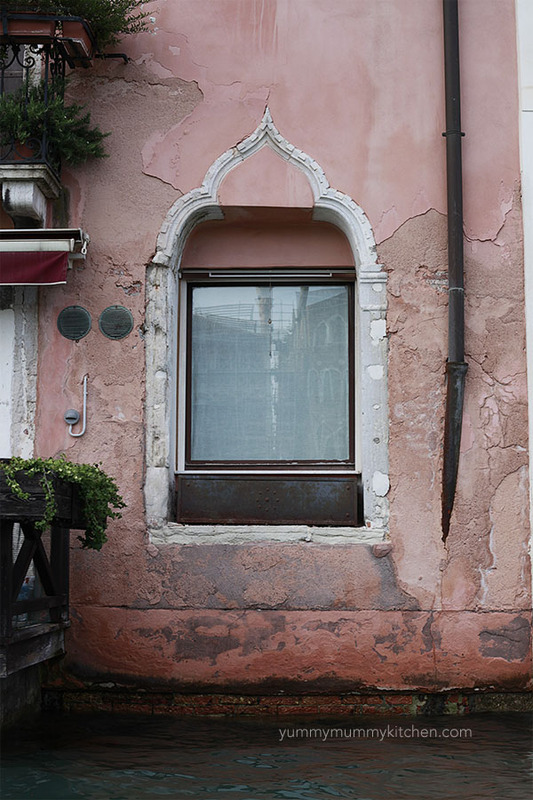 Everywhere you look in Venice is something spectacular. The colors and light have been appreciated by artists for centuries, and it’s easy to see why. We only stayed in Venice one night, and one night was actually enough for us. As we were visiting in June, the city was very crowded with American tourists. By the end of our trip I was ready to get back to the peaceful lake. We stayed at a beautiful Bed and Breakfast, Palazzetto Pisani. Palazzetto Pisani is a small 16th century boutique hotel decorated in lavish traditional Venetian style. The wonderful breakfast is included. We were disappointed in our room, however. We booked the annex apartment which had plenty of space for our family of four. But I didn’t realize we would be shuffled out of the beautiful hotel, across the alleyway, and into a sketchy random apartment building that was under construction. Instead of the gorgeous decor of the hotel, our room was dirty and modern. Oh well, travel always has it’s hicups and this wasn’t a major one. I would maybe recommend this hotel, but only if you are staying in the main building and not the annex. Venice does necessitate a lot of walking. It was great for our 6-year-old, but tough at times for our 4-year-old. We were thankful to have a Trunki kids suitcase. We used it as a seat for whenever little legs got tired, and pulled the girls around airports and over cobblestone streets.